Colourful Spring flowers bring on the showers, so you better get out your wellies today! 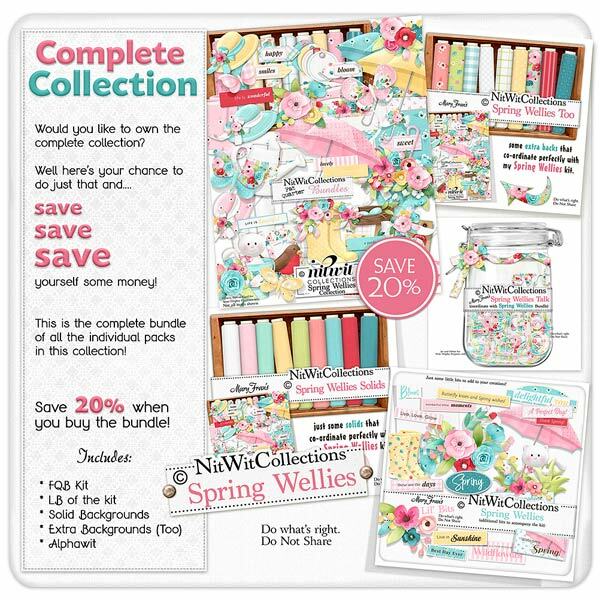 We know that your heart will lift when you feast your eyes on all that this creative digital kit has to offer! The bright and cheerful colours will immediately draw you in and the elements of the bird's nest, butterflies, cat in a bucket and umbrellas will be sure to inspire you to create. Let that smile on your face be your guide, and just as a flower blossoms in Spring....so too will your scrapbook layouts, cards and mini albums.